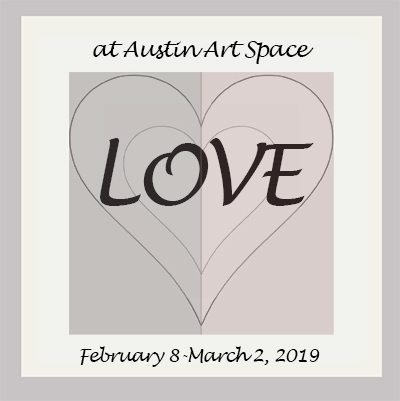 Our upcoming show at Austin ArtSpace will be the LOVE exhibit in February, our first big group show of the year. It’s our 14th annual exhibit of “For the Love of Art.” Artists interested in participating, please visit our call for entries here: For the Love of Art. Deadline is coming up soon.